The brain function you were born with is not necessarily the brain you now have or could have in the future. Science tells us that the brain, with proper stimulation, can develop new neural pathways expanding our capabilities physically, mentally, and emotionally. Too often we look for a pill to effect a change in our brain chemistry for mental, emotional and physical well being, when there are other avenues we can consider. 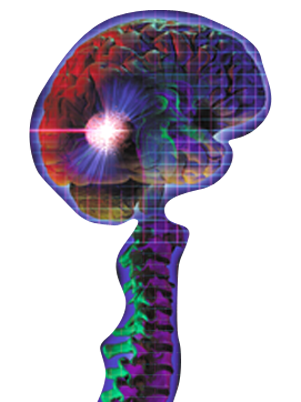 Brain Breakthrough, Inc. provides drug free home-based programs that can stimulate or relax your brain to improve performance at work, home, school or in the sports arena. These easy to use programs incorporate light, sound, and movement therapies to help balance and enhance brain function. New research has redefined the inner workings of the brain. In the last 20 years, scientists have learned more about the human brain than in all previous history. Researchers used to believe that the brain was not able to renew itself and constantly lost neurons which could not be replaced over time. Now they know that the brain is always changing, able to renew and repair itself, and constantly in the process of making new neurons and other cells. 1) The brain goes through crucial periods in fetal development. After birth, brain cells must have certain kinds of stimulation to develop the powers of vision, language, smell, muscle control and reasoning. Contrary to old assumptions, the brain is a dynamic organ that can, with appropriate stimuli, increase its capacity over the life cycle. 2) The brain uses the outside world to shape itself. Stimulation is indeed the brain’s food. The way the brain “ingests” is through the sensory system: vision, hearing, smell, touch and taste. The Brain Breakthrough Program brings together a variety of supervised home- based tools to provide the sensory input to the brain that it needs to perform at a higher level. When you enter the Program, the first step will be an assessment to determine both the specific tools to be used and the most effective approach in dealing with your individualized needs. We have a collaborative team of professionals to create an individualized program, customized to bring you to your highest level of learning, memory and performance.